Former Maryland Gov. 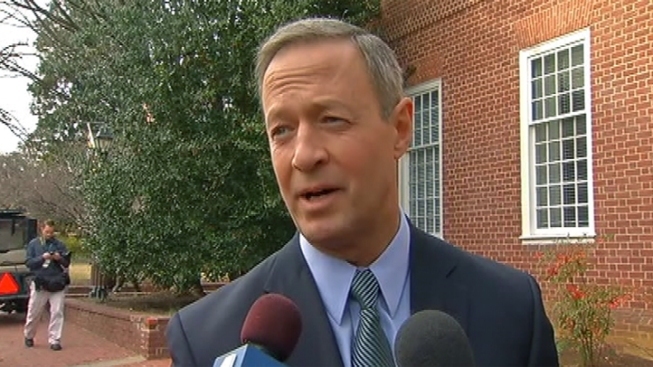 Martin O'Malley has hired two people to his political action committee as he considers running for president in 2016. Lis Smith, a spokeswoman for O'Malley's PAC, said Tuesday that Jake Oeth has been hired. He is a political consultant who is based in Des Moines, Iowa. He most recently worked as the political director for Rep. Bruce Braley's 2014 Senate campaign. Smith also says Brad Elkins has been hired to work for O'Malley's PAC. Elkins worked last year as the political director for Jack Hatch's campaign for governor in Iowa. O'Malley, a Democrat, is scheduled to give the keynote speech at the Kansas Democratic Party's Washington Days banquet on March 7 in Topeka, Kansas. O'Malley, who was term limited, left office last week.